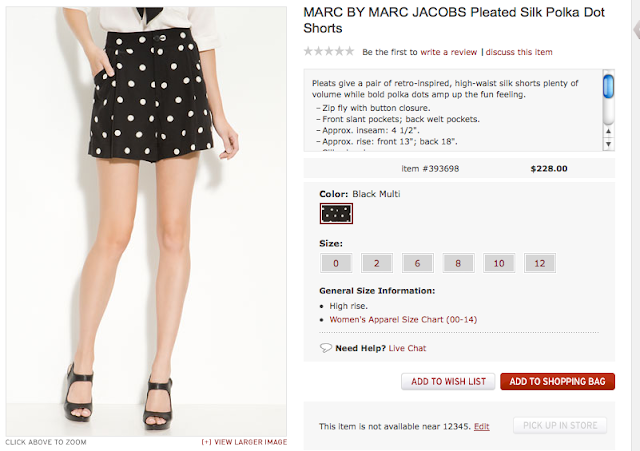 Marc by Marc Jacobs makes up a pretty gargantuan part of my wardrobe. I really enjoy the carefree, whimsical aesthetic of the diffusion line. The pieces are always great quality - I don't have anything from MbMJ that I've been disappointed with. 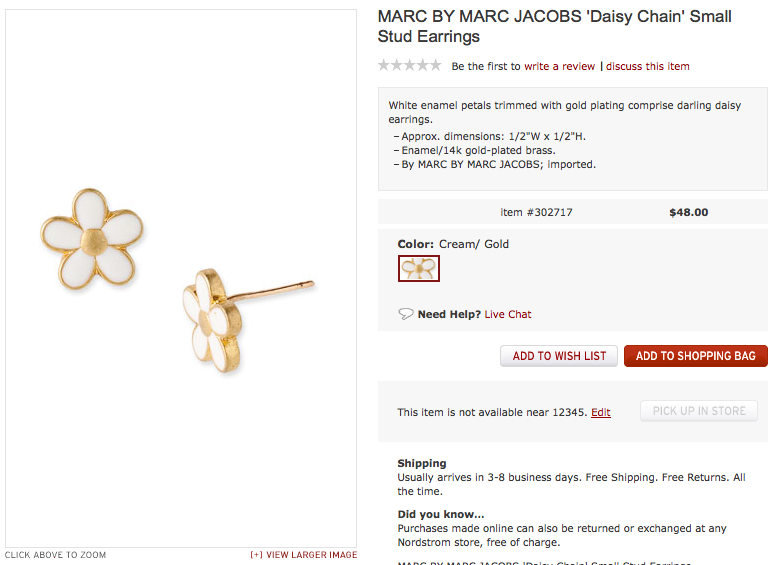 I am tremendously in love with some of these new Marc by Marc Jacobs pieces! I am a self-proclaimed cardigan fanatic. This beautiful piece might just be nice enough for me to break my ban... If you adore it, too, you can buy it here. This polka dot silk blouse is perfection. It is light and breezy - perfect for spring. The polka dots add a touch of subtle, signature Marc whimsy. I see this tucked into a cute high waisted skirt, or even dressing up a simple pair of black skinnies. You can buy it here! This blouse is incredibly interesting in that it is classic and timeless, but also very trendy. The angular collar is very current, but it is essentially a basic silk blouse. 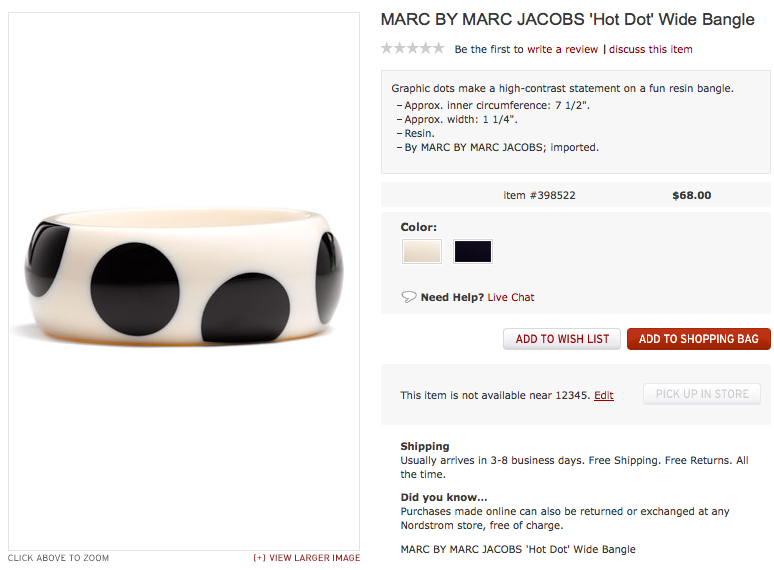 I would love to pair this with my Cara Couture necklace from this post. I can also see it under the Theory sweater from this post. 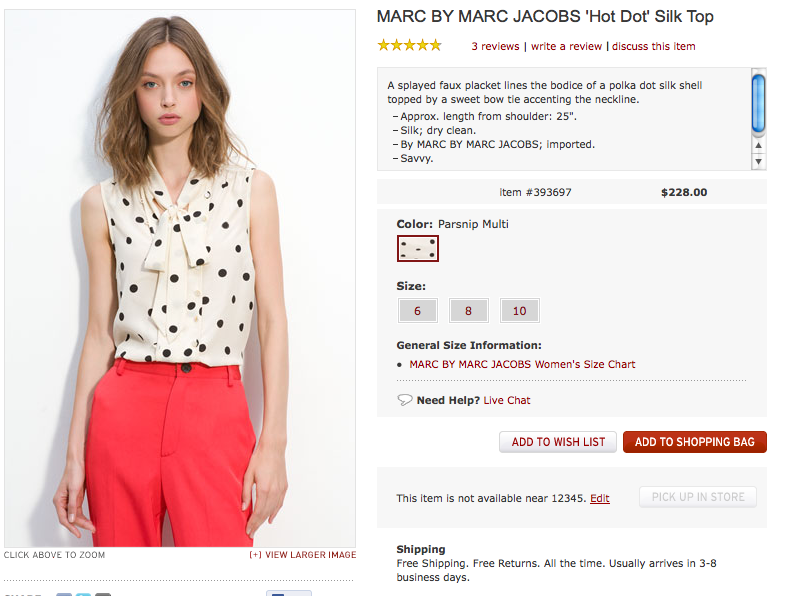 You can purchase this blouse here. There are so many things I love about this skirt. I adore the colors, the pleats, the pockets, and the whimsical little birds. You can buy it here. These black polka dot shorts would be a lovely addition to my spring wardrobe. I don't really have many shorts, and these are perfect. I can totally see them with my Prada Baroque sunglasses! If you like them, you can buy them here. 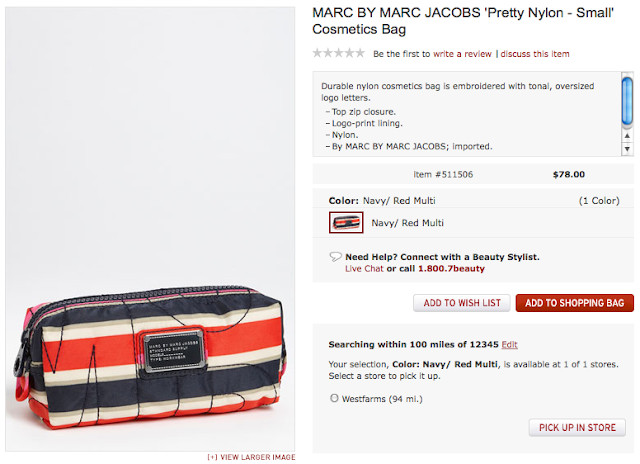 I love the stripes on this cosmetic pouch. You can buy it here. This polka dot case is adorable too! I like white watches, but I don't like ceramic watches and usually white watches are ceramic. I like that this one is leather and rose gold. I might get this one instead of the other one. You can buy it here. This polka dot bangle would match the polka dot blouse or shorts wonderfully. These are the perfect earrings for spring! Buy them here. I want to start stacking bracelets more, and these bangles seem perfect for that. You can buy them here. These star bangles are incredibly fun and whimsical! Buy them here. 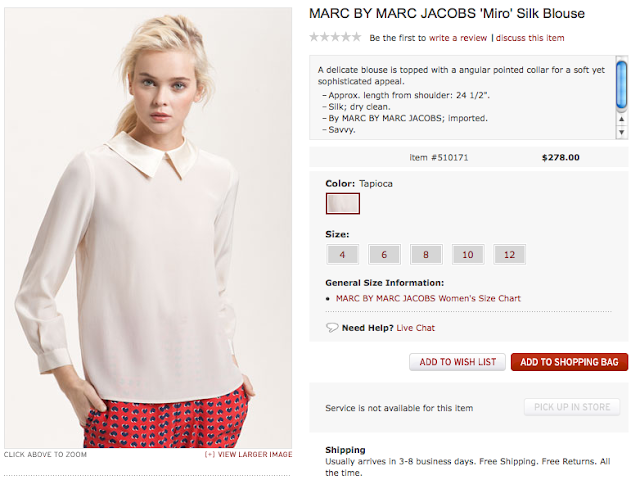 Marc by Marc Jacobs is perfect for classy, whimsical pieces and I love all the clothes you chose! What makes you think most white watches are ceramic? Ceramic is actually less common and much more expensive. You can get a white Michael Kors that is acrylic for half the price of their ceramic watches. Really? I just assumed all the plastic-y looking watches were ceramic. Thanks for the info though! i really like the rose gold watch better than the white strap watch. i just simply think its more classy.. but maybe its just me. 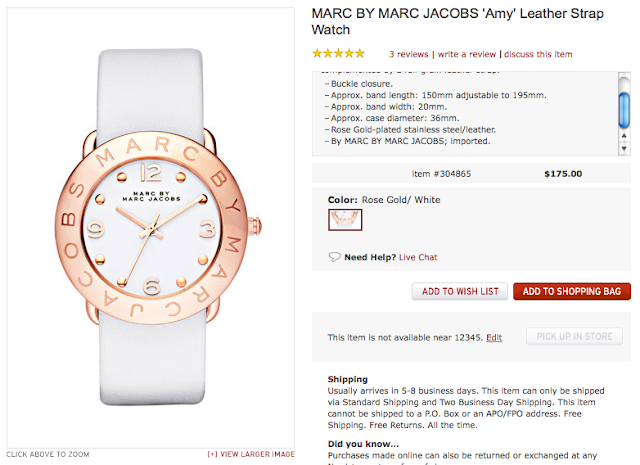 i feel like you'll never be too old to wear rose gold watches but for the white strap.. i just feel that its something i would wear for about 5 years and then feel too old to wear it afterwards. although i agree that the rose gold watch would scratch up too easily... the white strap also have its own flaw. My friend have a white MJ watch and she wore it for 1 summer but the strap got so dirty that she never picked it up again. (she needs to change to new strap.. which isnt worth it if you need to change the strap every 1-3 years depending on how careful you are. Can I just say that I absolutely love your blog? I check daily for new posts. I love how you've organized it and enjoy seeing your buys and potential buys. Thanks for sharing with us. I also want to cast my vote for the rose gold watch. I completely agree with Honeybee's comment, plus I'm quite partial to rose gold in general. Well..this season anyway. 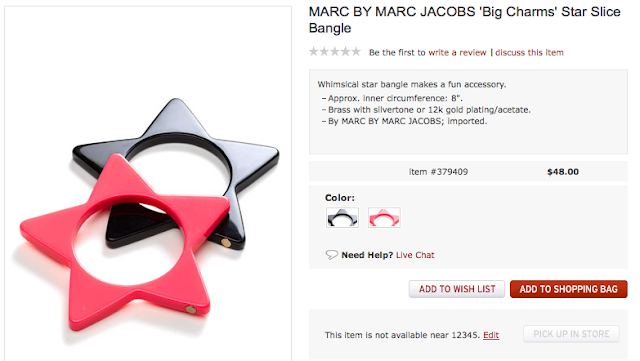 Quick question, have you ever had any issue with Marc Jacobs' jewelry tarnishing? I prefer the leather strap watch more! I have a gold stainless steal Michael Kors watch that i've owned for a little under two years and the gold paint is already starting to wear off. It's not incredibly noticeable, but I can point it out. So if you're looking for durability, I would definitely go with the leather strap! My friend owns a MbMJ watch and she said the same thing happened to hers so i'm guessing it's the general quality of these types of watches. 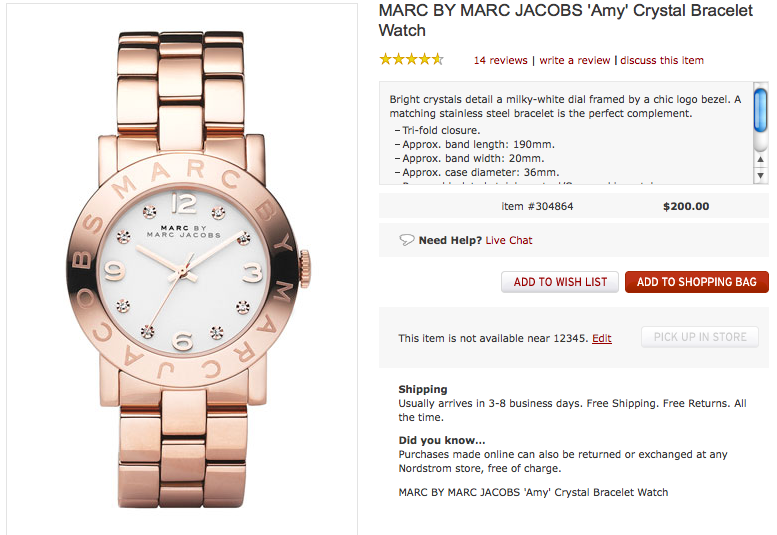 Did you ever purchase the MbMJ Amy Watch in Rose Gold? And if so, did you have any issues with tarnishing? I've read some reviews about that happening but the majority of reviews seem great otherwise.